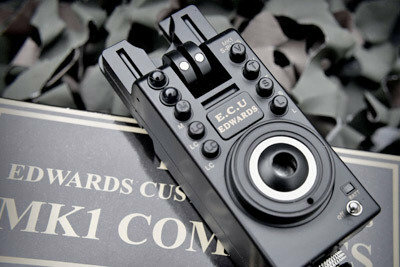 Mk1 R-Plus compacts, solid build, easy programming with carp angler friendly features. Mk1 R-Plus is the right update to the original MK1 providing you the best of bite alarms ! Anti line skip Roller! Great for continental fishing even for slack line fishing and ultra light bobbins.Intelligent FALSE BITE SENSING when used in conjunction with receiver. Remote receiver will kick in to auto max sensitivity if roller wheel on bite alarm speeds up. Even if roller alarm is set at minimal sensitivity setting to minimise line bites or floating weed false beeps ! Latching led, run led. twin 8 magnet roller wheel. ultra sensitive for slack line fishing. anti line skip roller wheel to eliminate line skipping over wheel and not registering a take. Of course led dimmer button (L), infamous on the original mk1 compacts and its on here also. And yet volume, tone, and senssivity adjustable on large range. Mute function : M button, one press 30 sec mute / two taps 60 sec mute! And your receiver is muted also if its switched on. This saves turning off your alarms if adjusting your bobbins. Lc buttons, to colour change the latching and run leds independantly, so you can have any colour configuration you see fit. Drop back function : Visual and audible differentiation between forward and reverse movement. Extended signal range with external base drop down antenna up to 200m signal range. Jack out put 2.5mm socket size for illuminated hangers. And a low battery indicator window alongside toggle switch tells you exactly if your running low on battery life. The buttons under the receiver leds are lc buttons, led colour change buttons for each led. So you can choose what ever colour you want on the receiver. All green, all blue, r.w.b.y.p.g... Your choice countless configurations ! Double antennas : greater distance and to push the signal through dense vegetation when other companies alarm signal range fall by the way side. "Simple layout that took me 2 years to perfect to make it look that simple... but i got everything in i wanted on the alarms." - Scott Edwards. - E.C.U. Central isotope slot and vertical isotope slots either side of where the rod sits.